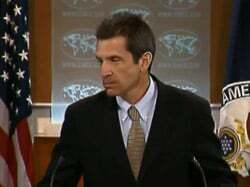 "No amendments, no changes, would justify the passage of this odious bill," State Department spokesman Mark Toner told reporters. "Both (President Barack Obama) and (Secretary of State Hillary Clinton) publicly said it is inconsistent with universal human rights standards and obligations." 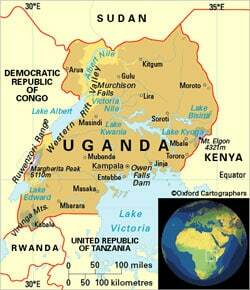 The State Department, he said, is joining Uganda's own human rights commissions in calling for the bill's rejection. "We are following this legislative process very closely," Toner said. "Our embassy is closely monitoring the parliament's proceedings and we also are in close contact with Uganda's civil rights and civil society leaders, as well as members of the (lesbian, gay, bisexual and transgender) community there." Human Rights Watch reports in a press release that Ugandan parliament’s Legal and Parliamentary Affairs Committee "has regrettably recommended passage of the proposed Anti-Homosexuality Bill, including retaining the death penalty for 'aggravated homosexuality.'"